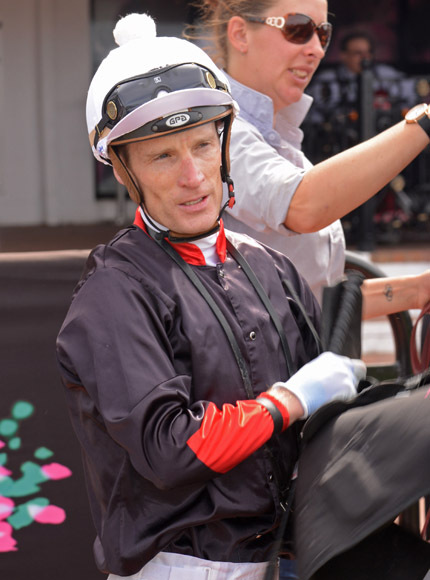 Mark Zahra will be the new rider for Japanese import Brave Smash in the $600,000 All-Aged Stakes at Randwick on Saturday. The Darren Weir-trained five-year-old has been ridden by Craig Williams in four of his five starts this year. Those rides include his win in the G1 Futurity Stakes (1400m) at Caulfield and his last start when he disappointed behind Trapeze Artist in the G1 TJ Smith Stakes at Randwick on April 7. Williams has elected to ride in Melbourne on Saturday. Meanwhile Weir has Doomben Cup plans for his G1 winner Gailo Chop after his gallant second to champion mare Winx in the Queen Elizabeth Stakes (2000mn) at Randwick on Saturday. The seven-year-old has been in excellent form, winning the G1 Ranvet Stakes (2000m) and fourth in the G1 BMW before finishing second to Winx. Weir confirmed that Gailo Chop will be set for the Hollindale Stakes and Doomben Cup at the Queensland carnival. Weir has also nominated the globetrotting Red Cardinal for the All Aged Stakes where he wil be having his first start since finishing 11th in last year’s Melbourne Cup. The Australian Bloodstock-owner stayer has started only 11 times but has already raced in England, Germany, USA, France and Australia. "We've got a winter campaign in Brisbane in mind. The Doomben Cup is a chance but we're looking at the Brisbane Cup with him,” said Australian Bloodstock director Jamie Lovett. Lovett said Red Cardinal was lame with a knee injury after the Melbourne Cup. "It's been a long road back. Darren's given him a long, slow build-up at the beach and he feels that he's being near ready,” Lovett said.